Roll on mighty Mississippi, roll on! 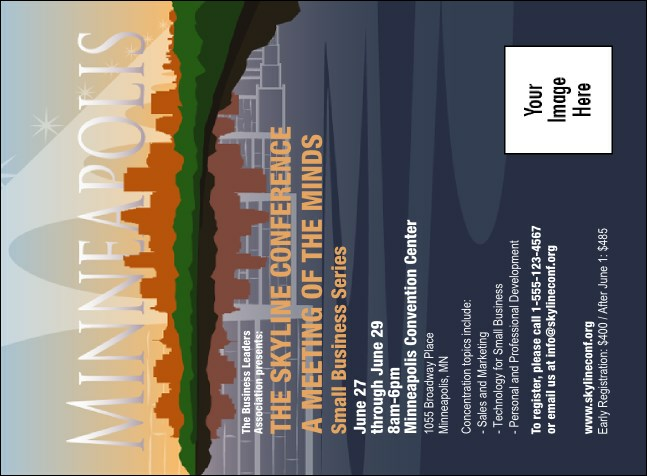 Announce your next local gathering with the colorful Minneapolis Invitation. An image of the city reflects against the river’s waters, and a silhouette of a bridge crosses its expanse, providing a stunning and inviting background for your event’s information! Tell them all about it! A matching event kit is available through TicketPrinting.com.